Thomas has decided to die, and spends his last day driving around to say good-bye to everybody, his son, wife, mistress and all others. Nobody understands that this good-bye is definite, and still he says things they will never forget. Academy Award Nominees Announced - And the Oscar Goes To? Two couples, old friends, end up in a heated debate over adultery at a dinner party. 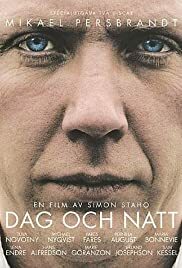 A man's effort to reunite his family unwittingly uncovers some painful secrets in this Swedish drama. Magnus a photographer wants to do something special for his mother Elisabeth in honor of her upcoming seventy-fifth birthday. This is a different road movie. The main character has decided to kill himself in the evening and spends his last day driving around to say good-bye to everybody, including his mistress, his son, the son's soccer coach, his mother and so on. Nobody knows that this good-bye is definite. This is about a person crying for help and nobody hears it. The reason for that is that almost everyone the main character meets, has problem like his or even much worse. Nobody has any solution. It is about people trying to reach out, but not being even close to touch anyone. This is in most cases very well played, especially by Michael Nyquist and Pernilla August. The episodes do however not have the same quality entirely. Some of the episodes could even have been left out. The script really needs good actors, because if you just read it, you would find it rather uncomplicated, although it deals with complicated people.